With Android, we are limited to three volume selections: Media, Ring and Alarm. Android is supposed to be about flexibility and customization. Why can't we choose different volume levels for these? Especially, to differentiate between ringer and notifications. Sometimes, I would like notifications low, but the ringer higher. 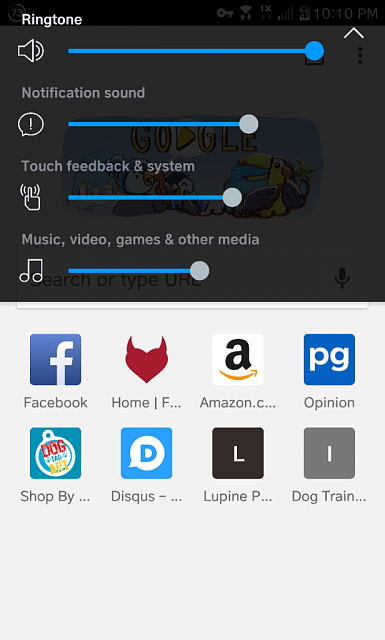 You may need to expand your volume controls, or perhaps it's a limitation of your specific phone. These are the defaults my LG V20 gives when I expand them. I also have a call volume option when I'm in a call, it's just not available at other times. I don't have a dedicated alarm volume, but the alarm app I use has its own volume control. So even that one isn't an issue. Not sure what phone you have, but all my Samsung phones have those volumes and more. Alarm volume can be controlled in the Clock app. 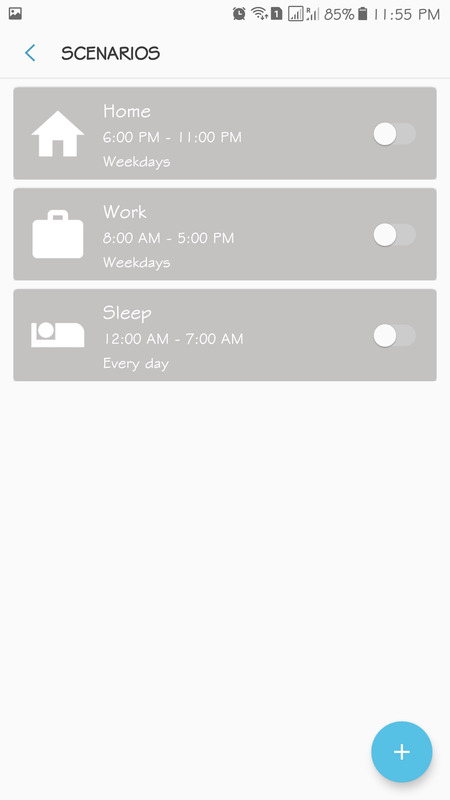 Each alarm you set can have different volumes and tones from each other. Media, Ringtone, System, and Notifications are separate volumes that can be accessed via the side buttons. The voice volume can be controlled while in call by press the side buttons. I can do that without even getting the phone off my ear. Then with the Samsung Sound Assistant, I can even control media volume on a per app basis. I've got the Pixel 2 XL. So, I guess it's a phone, not an OS limitation. I agree with you that BlackBerry did do a lot of fascinating things with regards to software. And other things too of course! I can't remember what it's called, but my BB devices had this kind of alert slider option; where you could easily change the sound profile. I know Android has similar functions with the volume buttons; but this is why I really enjoy the alert slider on OnePlus devices. No offense but I seriously think you need to proofread what you wrote. Anyhow, he doesn't need multiple speakers. He's talking about separate volume controls for different types of notifications. This. Somethings were just so simple. I had a home mode and a work mode for sound profiles. Pre-tweaked to exact specs and only a single click to activate. The other one I remember is that you could get if you want a notification to repeat. Yes! Naming and creating your own sound profile. I always made custom ones. And yes, I think I too remember that you could get a notification to repeat. Funny how a lot of people bash manufacturers like Samsung for adding too many features they call bloat, and then I find people like you guys looking for the stuff that are built into them. It's like people can't make up their minds if they want features at the sacrifice of speed or speed at the sacrifice of features. But that's what the diversity in Android permits. Samsung and Google stands at the opposite ends of the spectrum of having too much and too little features, while the likes of Huawei, LG, Honor, etc rest somewhere in between. Pixels rely a lot on the ecosystem. The volumes the OP mentioned, and custom sound profiles? I'm sure there are apps for that in the Play Store. If you want built in or manufacturer official software for near everything, that's what Samsung is doing. Tsepz_GP and LuvULongTime like this. I'm sure there are custom apps and such for that! I was just being nostalgic haha. I miss my BlackBerry devices so I was merely reminiscing. It just varies from person to person. I will sacrifice some built in "features" for actual OS / security updates. Especially since I bet a 3rd party app can get whatever I am looking for done if need be. To be honest though I haven't found anything my Pixel doesn't do for my needs that my Samsung phone did (except Samsung Pay for non-NFC stores). Most of what the Samsung does that the Pixel don't either have proprietary software (Samsung Pay), firmware level integration (Sidesync mirroring even locked phones), or hardware (dual camera setup). The rest are either available as third party or add ons. The thing though is that third parties are third parties and not built in. These days gone are the days where there's always an app for that. People start to look for built in stuff more. They may not be built in but it doesn't mean they're not good. Also dual camera is nice but Pixel has already shown it has an amazing camera and more with only one . I'm not saying they aren't good. I'm saying that a lot of people wrongly bash the Pixel for not having these 'simple' features built in. The OP for example. Part of the reason why I am drawn to Samsung is that they kept many features we appreciated in Symbian and Windows Mobile, particularly PIM features. These newer phone OEMs tend to leave a lot out due to inexperience, and you then have to hunt down everything the Playstore. One thing I hate about using 3rd party apps is that they tend to not be as reliable as what a built-in app would be. True. None of the screen mirroring 3rd party apps can be used unlock a phone for example. Samsung's Sidesync can. Very handy if the screen is dead/broken and you need to recover data. My LG V10 can set ring tone volume differently from notifications. Theres a separate volume slider in the pull down shade. I am 99% sure all the V series phones do the same thing. So its not something baked into the android OS. What youre seeing is some alteration by either the carrier or manufacturer. No complaints here. I'm loving Samsung Android compared to the stock experience on my Moto. I appreciate the extra touches Samsung has added.